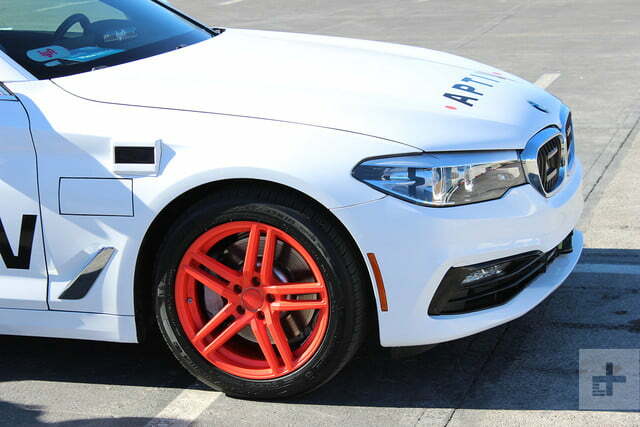 With 2018’s Consumer Electronics Show around the corner, we prepared for the onslaught of autonomous vehicle demos by… taking an autonomous vehicle demo. What was different about this one, though, is that it’s something any CES attendee can experience for themselves. Ride-sharing company Lyft and brand-spankin’ new automotive tech company Aptiv have partnered up to provide driver-free rides to 20 different locations in Las Vegas for the duration of the expo. We took a ride for ourselves to see just what was in store for any attendee hoping, maybe, to avoid the usual chit-chat. The demonstration is staged in one of the Las Vegas Convention Center’s parking lots. From there, we walked through a “garage gallery” — basically an art installation representing some key points Lyft wants to impart that add up to its main theme: “ride sharing good.” It’s essentially four displays representing how parking spaces could be better utilized as something else, the costs of car components, and the minuscule time we spend per day with said car. 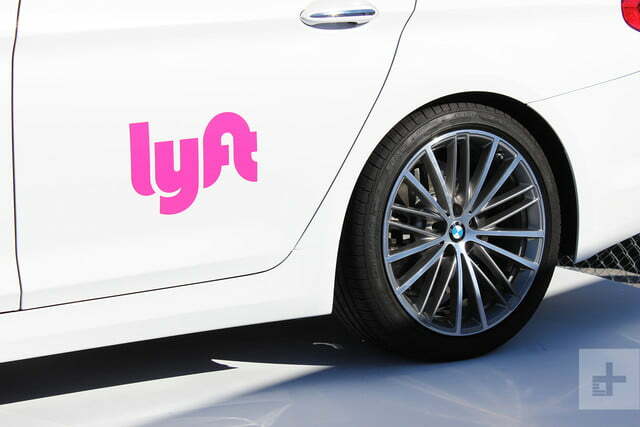 From that point on, we we’re able to summon a Lyft as anyone normally would from their smartphone. The experience is the same but when at one of the 20 designated spots in the city, the additional option to hail an autonomous vehicle crops up. 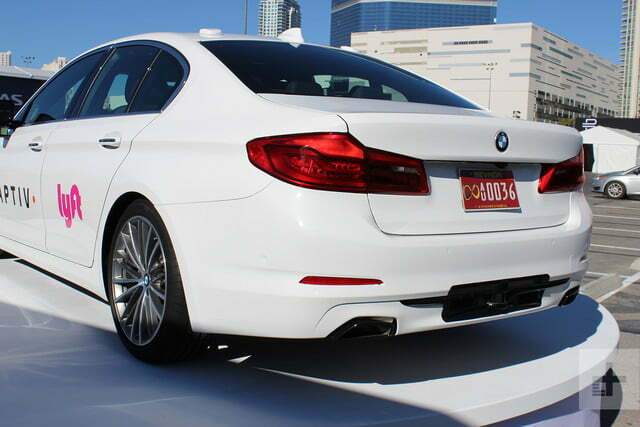 The car itself is a BMW 5 series kitted out with an array of sensors: lidar, cameras, and radar. 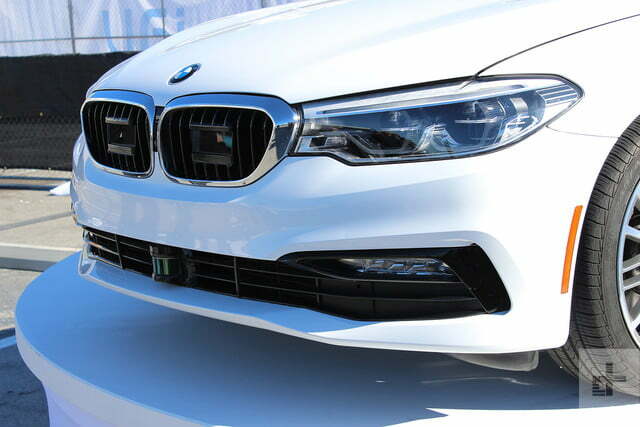 All told, the system has a viewing distance two football fields long and even utilizes the car’s adaptive cruise control to determine range. 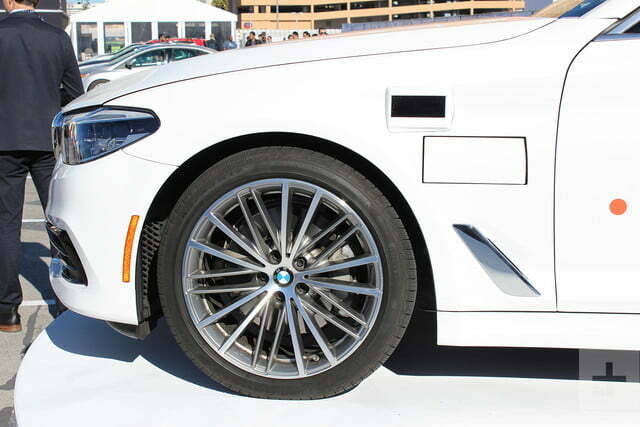 Though visible, these sensors are fairly well integrated throughout the panels of the car, not requiring a roof-rack array of gizmos to see its way around. We chose one of the hotels in the area as our destination and climbed in the back of our Lyft — which was “operated” by Eric, because Nevada law requires a person behind the wheel of a self-driving car on public roads. Just like the outside, the interior of the car had very little alteration. 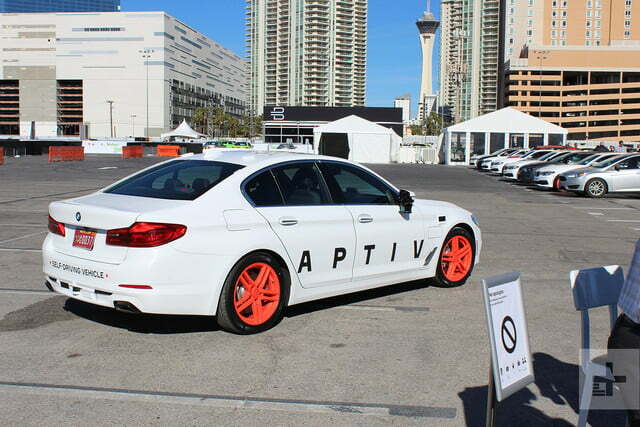 Aptiv retrofitted the existing BMW iDrive, where it rendered the different paths the car could and could not take, identified objects that could move (cars, motorcyclists, people at a crosswalk), and those that could not. It’s an important distinction when it comes to decision-making, and that certainly applies to self-driving cars. Certain moments jumped out, however. As we moved to make a left turn at an intersection, we human occupants could hear sirens rapidly approaching. We all saw a vehicle with lights flashing coming down the lane we were about to cross — and so did the car. I eyed the screen, curious to see if Eric would intervene, but he didn’t and we remained in auto the whole time. 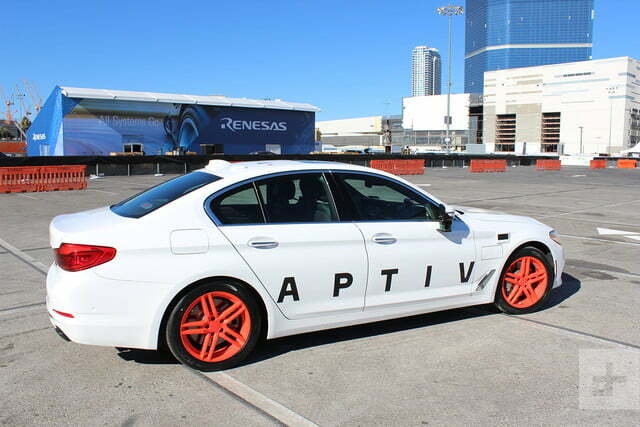 The Aptiv spokesperson who joined us cleared up that the car didn’t recognize an emergency vehicle on its way, just that a car was coming our way and fast, so it’d better stop. Aptiv and Lyft hope that these demonstrations go a long way in normalizing the idea of hopping into a self-driving car for consumers. 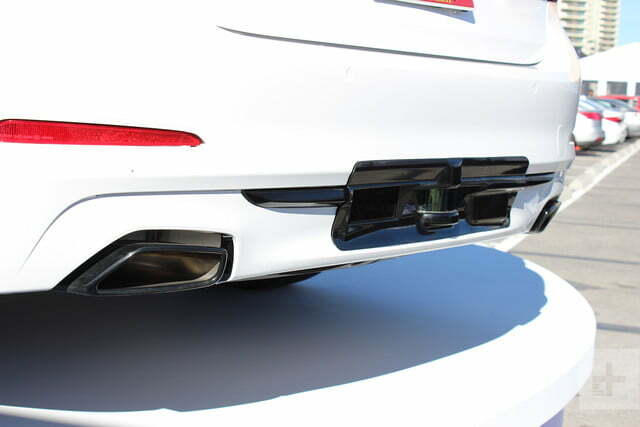 It was surprisingly easy for us to accept the situation and trust the car’s abilities, certainly helped along by the fact that we saw what the car saw (or at least the fraction of its perception directly ahead). 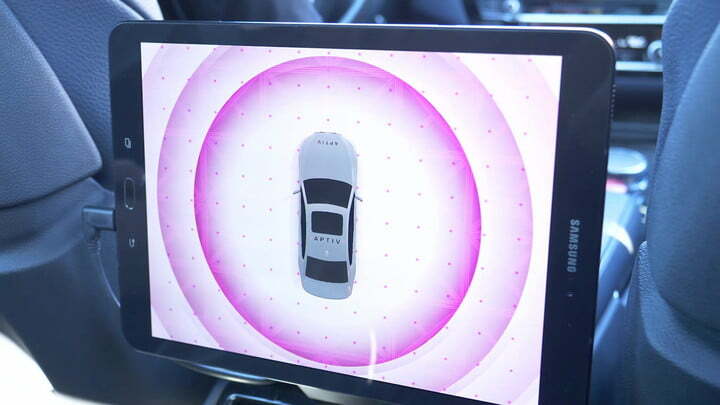 That normalization is likely the biggest obstacle autonomous vehicle advancement has, but once it’s overcome, Eric-less rides will be commonplace.